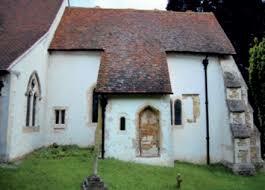 a traditional anchorhold was a a small, cell like building that was attached to a church. Here below are a number of on line sources to provide further information about this astonishing practice that was part of ordinary life in the middle ages in Europe. I am drawn to sources that can make scholarly knowledge available to the ordinary reader. This site leads to an interactive website about anchor holds – you can click to see what a petition to become an anchoress would have looked like, as well as a sample letter from a bishop giving consent to an applicant. It is a simple fun little site developed by the University of Saint Thomas-Saint Paul Minnesota for those interested in matters concerning the Medieval Church. Martin Warren, ‘The Way of an Anchoress”, Virtual Medieval Church and Is Writings, University of Saint Thomas-Saint Paul, Minnesota. http://courseweb.stthomas.edu/medieval/julian/anchoress.htm (accessed March 21, 2016. 2. 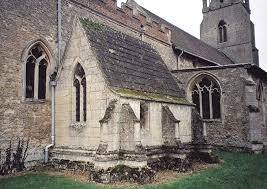 There have been modern anchoresses in the Anglican tradition. Here are three from the 20th century who were attached to The Anglican Shrine of Our Lady of Walsingham. This site is from the Walsingham Anglican Church archives. “The Anchoresses”, The Walsingham Archives, The Archives of the Shrine of Our Lady of Walsingham. Philip Koch, Solitude, Open Court Publishing Company, Google Books, 1994. Perhaps the most famous anchoress is Julian of Norwich. Here are two links inside her cell in Norwich England. Notice the three 'windows', and their purposes. And another glimpse back at the mostly forgotten, but powerful spiritual leaders who offered hope and council to all those who came by to visit. Julian of Norwich entered her anchorhold when she was thirty, and there wrote about the visions she had experienced during a deathly illness. She was a popular anchoress, offering spiritual council to all who visited with her. Julian wrote about God in the capacity of The Maker, The Keeper and The Lover. Here is my own conversation with her, in the midst of an unexpected April ice storm that cut my own anchorhold off from the world for five days. And here's my musical shout out to modern day anchoresses, wherever they reside.